The executive chairman of Google’s parent firm says entrepreneurs are the cure to society’s apathy toward change. Alphabet Inc (formerly Google) Chairman Eric Schmidt said on June 8 he is tired of society's apathy toward change, and he said entrepreneurs are the cure. “I’ve become convinced that we need to produce more entrepreneurs—everywhere,” Schmidt said. “In every industry, all around the world.” He later added, “I’m personally tired of the zero-sum game where everyone says, ‘Well, nothing can change.’ I think we have evidence that an awful lot is going to change and get much, much better." Schmidt went on to discuss fields that show promise for innovation, from lab-grown beef to replace climate-unfriendly cow’s meat to self-driving cars, which, in Schmidt’s opinion, have been in development for far too long. Schmidt highlighted a list of prominent companies, from Starbucks to SAP, which were, of course, created by entrepreneurs. Not only do entrepreneurs boost the economy, they also solve society’s largest problems, he noted. He cited the US interstate highway system; the Human Genome Project; and the lunar landing as historical examples, as well as the PC and Internet revolutions. He lamented that society has, in the past decade, been less apt to reach consensus about major universal challenges that require solutions. Whether someone is an entrepreneur or not, he reasoned, everyone should recognize the power of coming together in the name of progress. 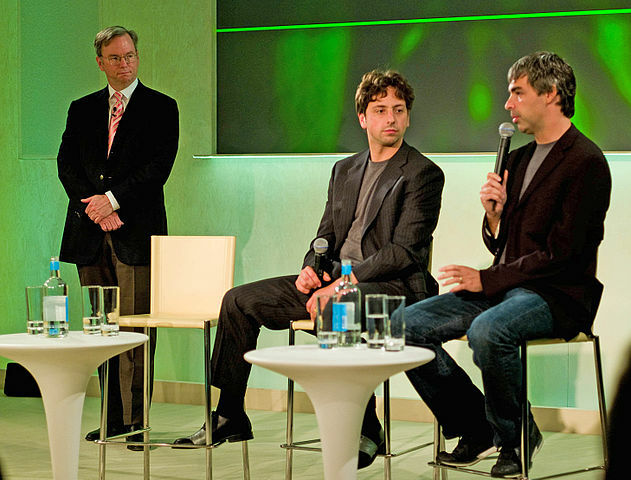 Schmidt delivered the remarks at Alphabet's first annual stockholders meeting since it became the parent company of Google. The shareholders voted against all six proposals brought forth to them, including requests for reports on the company’s lobbying activities and employee pay by gender. Shareholders also posed questions regarding the lack of free gifts for attendees (which the company remedied immediately) and recommended green-energy solutions aside from bird-chopping windmills. One shareholder addressed Ruth Porat as “the lady CFO” during the panel, and Michael Passoff, CEO of Proxy Impact, challenged the board regarding its lack of transparency about gender and pay data. Copyright © 2016 Entrepreneur Media, Inc. All rights reserved.